Hi. Its lovely to connect with you. 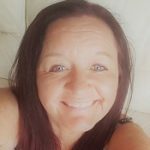 I have 26 years experience of working with spiritual energy. I had a personal awakening at the age of 20. I have learned to merge the sacred with the practical…the spiritual with the physical. I first met the angelic presence during my awakening. Having elemental energies as well as angelic energy I have walked between the worlds, marrying all aspects of myself. So it is with great pleasure I am now able to offer my experience in the structured framework of angelic reiki to you. Angelic reiki empowers the individual both client & practitioner. Yet it is when we get out of our own way that the angelic energies flow best. Angelic reiki is across all borders & boundaries, it is my belief angelic reiki is useful for all areas of life.